2018 saw Racing Engineering move from the FIA Formula Two Championship to the European Le Mans Series and it proved to be another successful year for the Spanish team when they won the opening round at Paul Ricard and went on to finish second in Team Championship. 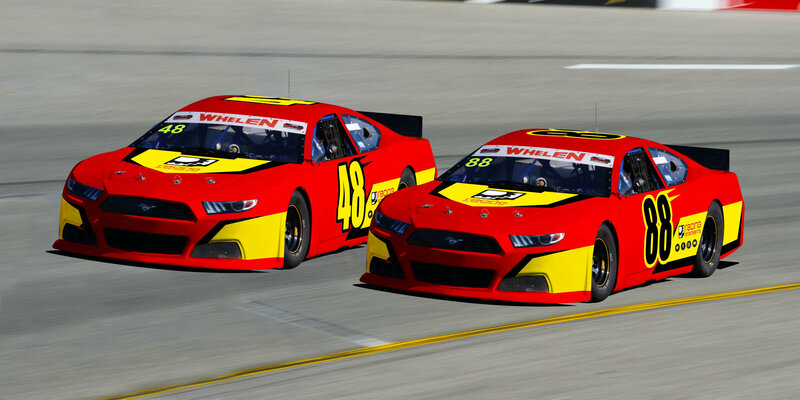 2019 sees Racing Engineering face a new challenge when they will be entering two Ford Mustangs in the NASCAR Whelen Euro Series. This will be something entirely new for the team as, up until now, they have only competed in single-seaters and sports cars, but their numerous race and championship wins in both categories means they not only have a wealth of experience, but they are always front runners from the start. Racing Engineering are not underestimating the hard work needed to run at the front in this very competitive series that will take place over seven race weekends at some very exciting venues such as Valencia, Brands Hatch and Hockenheim but they are very confident that they will be fully competitive from the start of the year. It is great to have a world class team such as Racing Engineering starting a Euro NASCAR program! Our championship is now one of the most competitive in Europe and this will be a terrific addition to the field! It is also a true statement of the continual development of the series which gets bigger and better every year. Bienvenidos a NASCAR, Racing Engineering! I am very happy to announce that we are joining the NASCAR family in 2019. It is a category I have always enjoyed watching and wished to join at some point in our career and this is now a reality. Obviously, we are looking forward to some great racing and doing the best we can. It will not be easy as there are some great drivers and teams but, first of all, letâ€™s enjoy the racing and take it from there. The team has been working very hard to get everything ready on time for the first race. It is a bit tight, but we are confident that the hard work by everyone will pay off. The first weekend will allow us to have a good idea of where we stand.